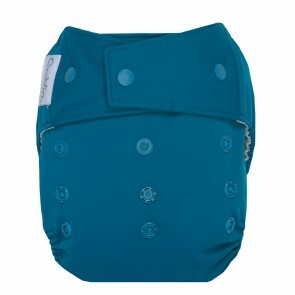 This waterproof shell is one piece of a two piece cloth diapering system. Purchase the snap in Organic or No Prep Soakers Seperately. This product is snap closure version and is available in a H&L version as well. The GroVia One-Size Diaper System has 2 parts. 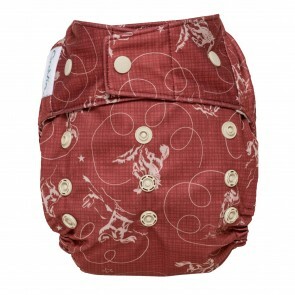 First the shell - the design of the shell is waterproof and minimizes diaper waste and cost because it is reusable! Second is the soaker (sold separately) - when the Organic Cotton or No Prep Soaker Pad is wet, simply remove it and snap in a fresh Soaker Pad. If the shell is wet, allow it to air dry and use for the next diaper change. If the GroVia Shell is soiled, start fresh with a new GroVia Shell. 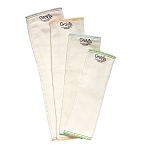 One-size Organic Cotton Soaker Pads and One-Size No Prep soaker Pads are available in packs of 2. You will find that using 2-4 Grovia Shells are enough per day, but newborn babies may need more. 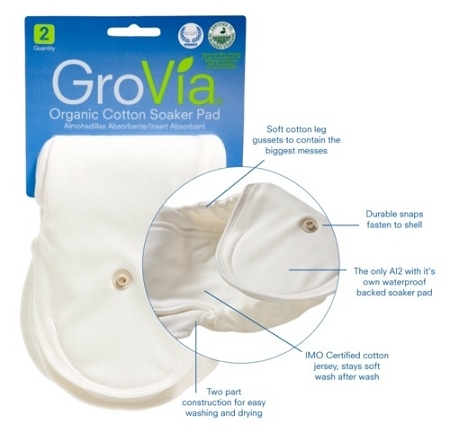 The GroVia Organic Cotton and No Prep Soaker Pads are super absorbent but trim. 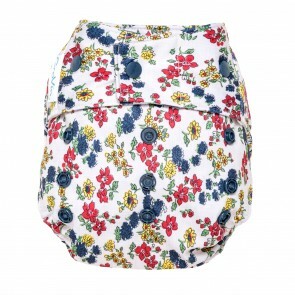 With a layer of waterproof backing and leg gussets to prevent leaking. 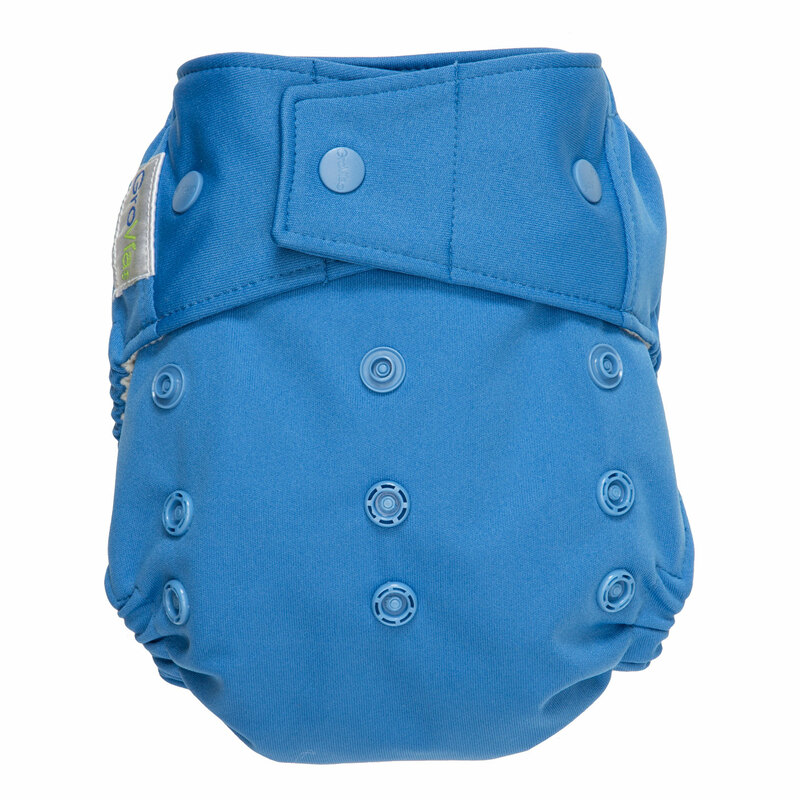 The Organic Cotton have 5 layers of organic cotton and won't leak for even a heavy wetter! 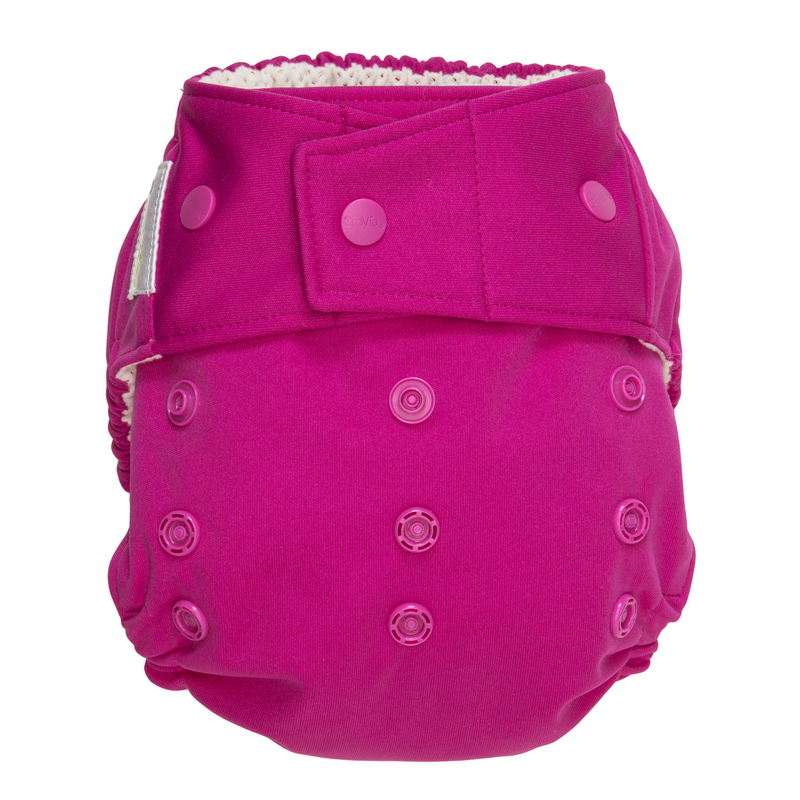 The GroVia Diaper grows with your baby with its adjustable rise snaps. 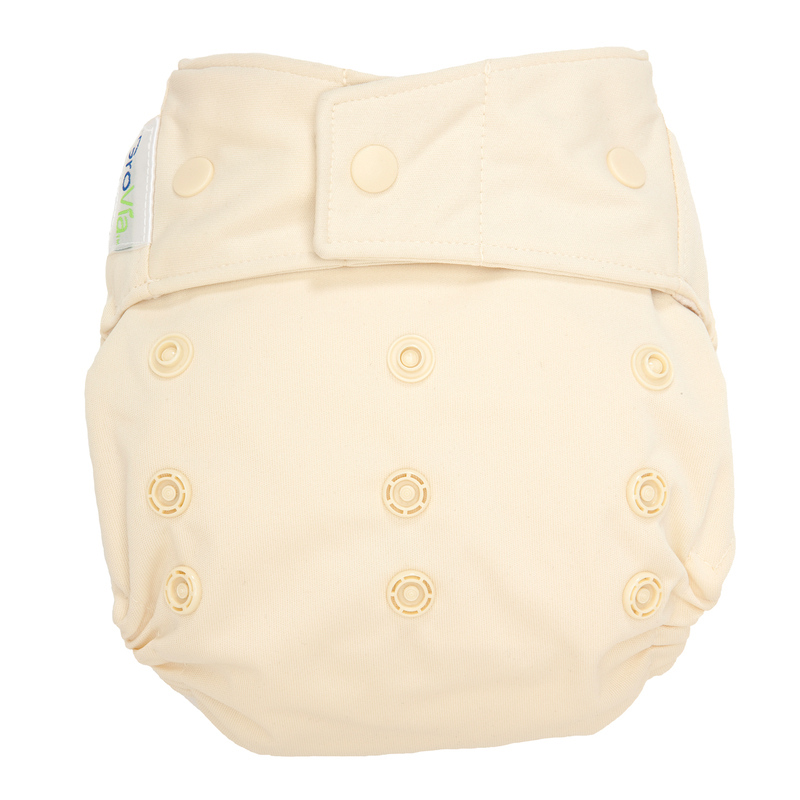 By changing the settings, the diaper will fit a newborn, infant, or toddler. 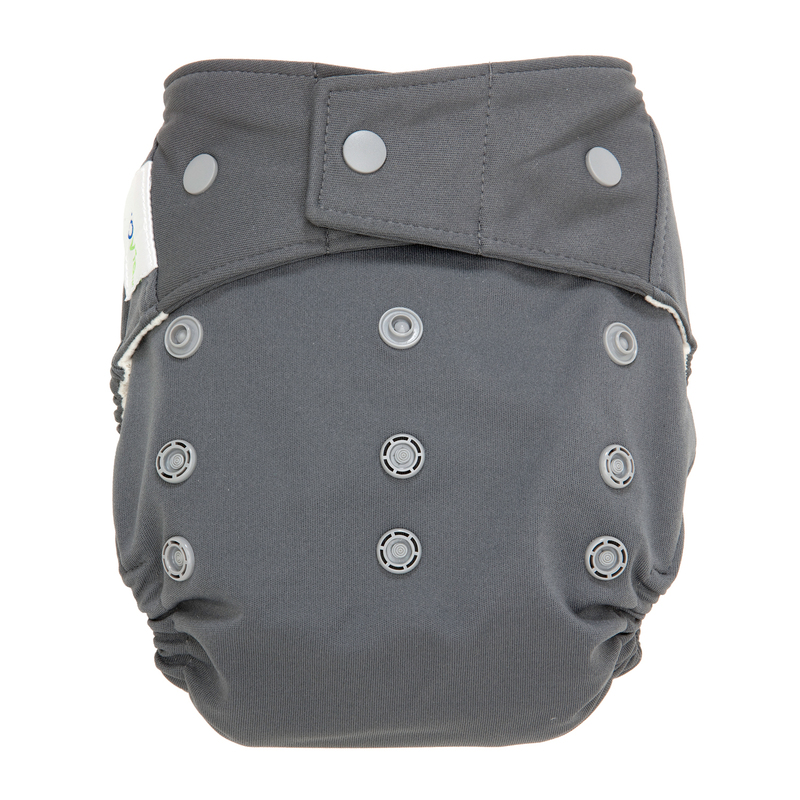 It will fit MOST babies from 8-35 pounds. The one-size Soaker Pad will also fit from 8-35 pounds and easily snaps into the cover. 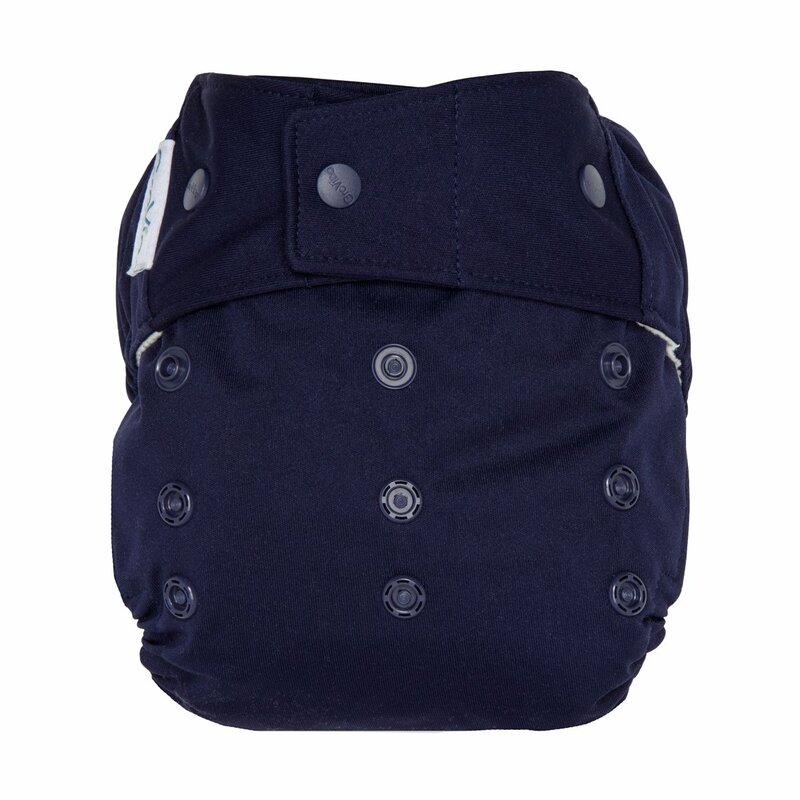 Use the adjustable rise snaps for toddler, infant or newborn. 1.Newborn/Small: Snap your GroVia Shell rise snaps on the lowest setting. 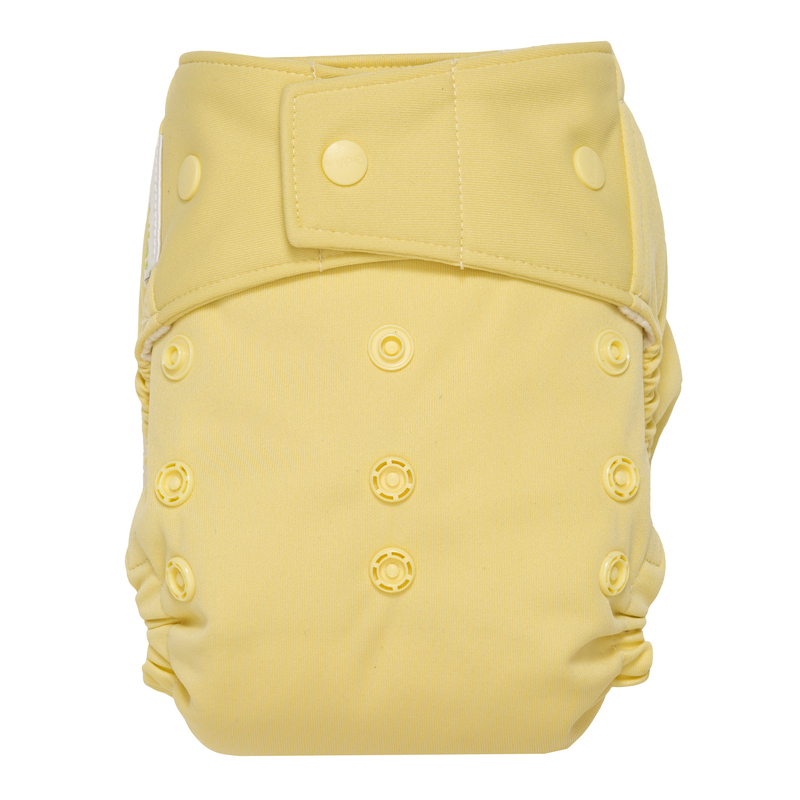 Snap your soaker pad into the shell and simply flip the front of the soaker pad in towards baby. Fasten diaper on baby. 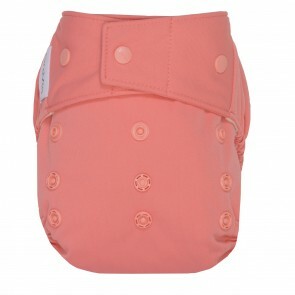 2.Infant: Snap your GroVia Shell rise snaps on the middle settng. Snap your soaker pad into the shell. 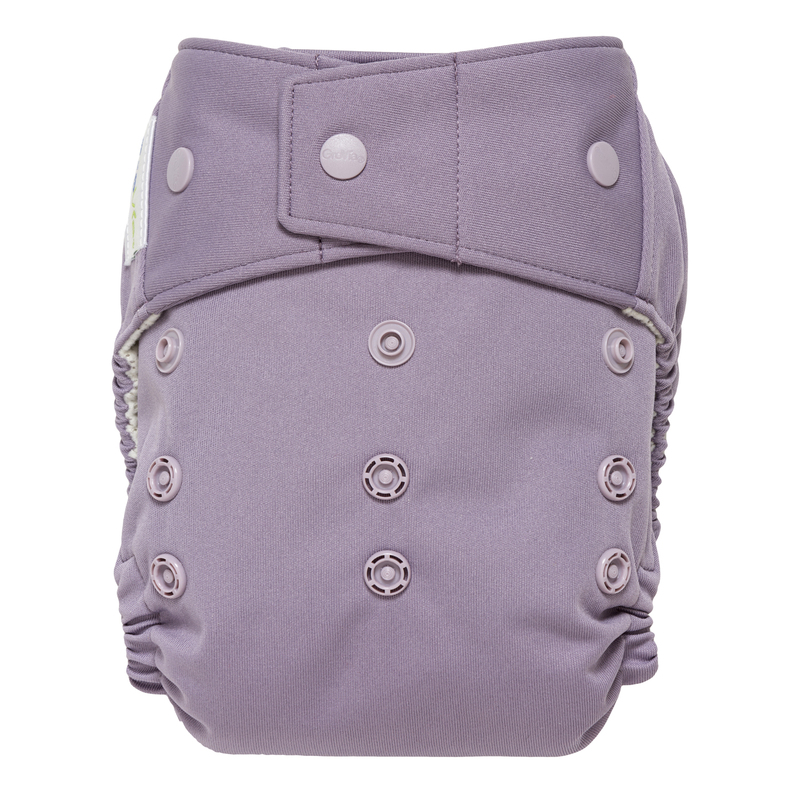 Tuck the front of your soaker pad down, while pulling the front panel up and fasten on baby. 3.Toddler: Leave you GroVia Shell rise snaps unsnapped. 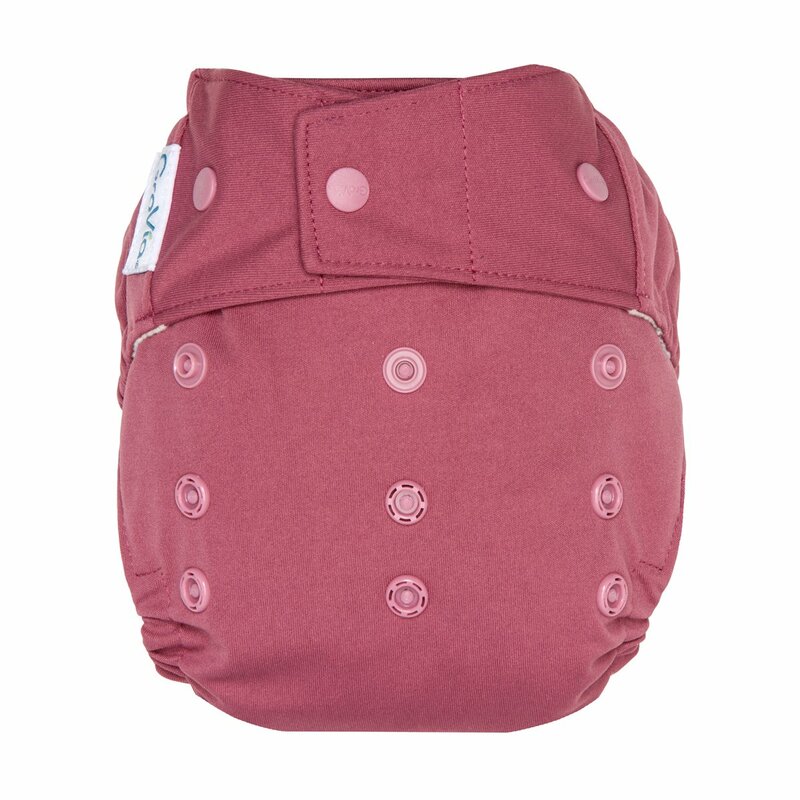 Snap your soaker pad into the shell and fasten on baby. 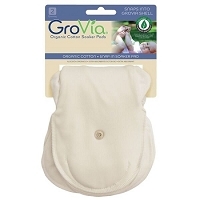 By using GroVia One-Size Diaper System you will be putting less waste in our landfills, save hundreds of dollars each year, and have a healthier baby with less diaper rash. There are no dioxins in these diapers. Use: Change outer shell twice a day and inner as needed. Washing: Organic cotton inners must be washed/dried on 3-5 times before first use and they will not reach full absorbency until approximately 8-10 washes. 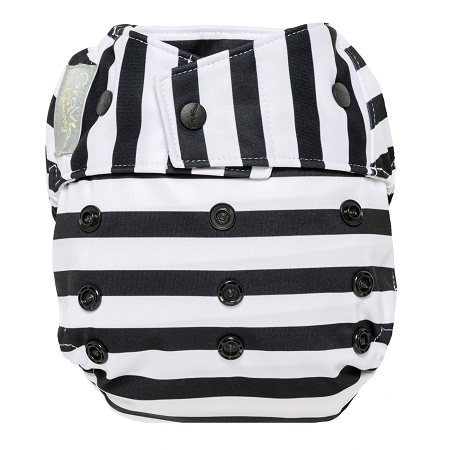 Place soiled soaker pads in a dry diaper pail - no soaking necessary. GroVia's snap shells are an excellent AI2 system. They truly are one size and have fit my son for quite a long time. It's easy to just use one soaker for a super trim daytime diaper or put a large rpefold and a hemp booster for a great night time diaper. 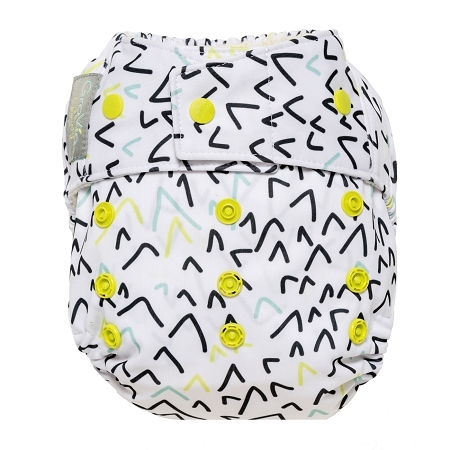 The prints are super cute and the company is all about ethically made diapers which makes me feel good buying the product. Definitely worth the higher price for an AI2 system!